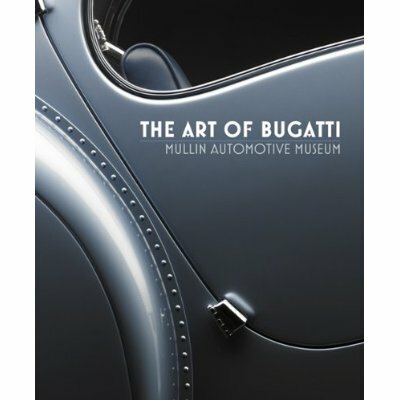 It’s telling that The Art of Bugatti ($95) is missing an article in its title. This isn’t a book about the Bugatti, it’s about Bugatti–Bugatti as a way of thinking, as the cultural, artistic and scientific environment that supplied the elements necessary to produce motorcars unsurpassed in beauty and value. 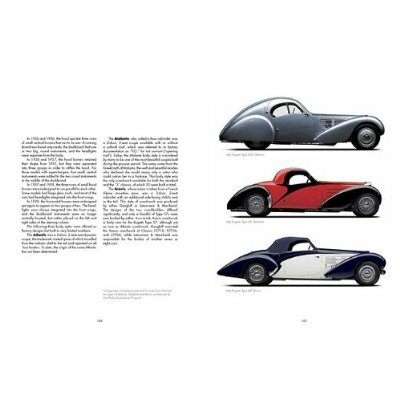 The Art of Bugatti is about upper-crust living in France before WWII, complete with chateaux, gentlemen zoo-keepers with a penchant for the exotic, morose artist brothers and bohemian undercurrents. It will make a fine coffee table addition for any Francophile or Art Deco enthusiast, automotive or otherwise. 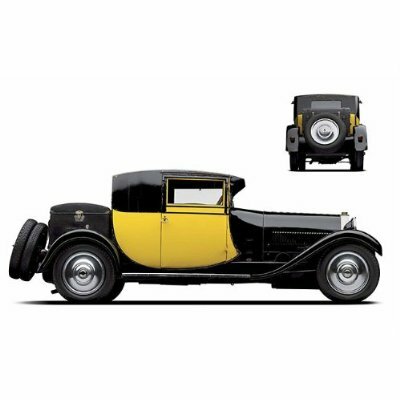 The Bugatti family certainly embodied the Art Deco ideal. Carlo Bugatti, an acclaimed furniture maker who worked in Paris and Milan in the late 1880s and turn of the century, was the real fount of artistic and mechanical genius that his illustrious progeny applied to motorcars. An artisan is the true sense of the word, he trained his two sons, Ettore and Rembrandt, in all facets of metal- and woodworking, modeling, styling and design. In fact, the family was surrounded by artists–besides Carlo’s Moorish-influenced furniture and his own father’s ornamental chimney pieces (and obsessive pursuit of developing a perpetual motion machine), Carlo was close personal friends with Creatives like Giacomo Puccini, the sculptor Ercole Rosa and the painter Segantini, all whom undoubtedly influenced his two young sons. Rembrandt (named to honor the family’s artistic tradition) died early, but Ettore was mechanically gifted enough to design gas-powered tricycles as a teenager (he would later greet guests to his country estate by driving up in an electric car of his own design) before moving to Alsace to work on De Dietrich and De Dietrich-Bugatti models. His son, Jean, was the talented designer who (at the age of 27) designed the 1936 Bugatti Atlantic. Only two Atlantics exist today: one owned by Ralph Lauren, and one bought at auction this year by an anonymous buyer for a rumored $40 million. Jean did much for the family brand, encouraging it to concentrate on the long-distance racing that spurred the the Type 57G Tank to win Le Mans in 1937 and 1939. Unfortunately, those wins came close to the end of the original Bugatti line. Two years after Jean died in a tragic car accident in 1939, Ettore sold the family marque to the Germans and died in 1947. His four surviving grandchildren are from his second marriage, to Geneviève Delcuze in 1946 (none survive from Jean’s side of the family). 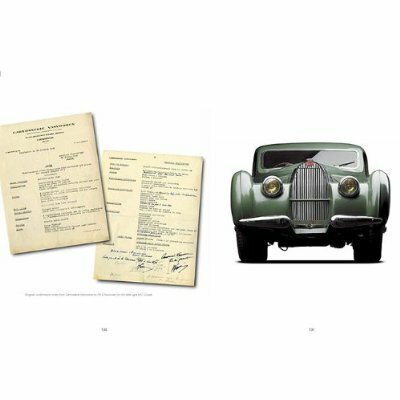 Car highlights include profiles and ownership histories of the 1922 Bugatti Type 23 Brescia, the 1928 Bugatti Type 43/44 Grand Sport, and the 1937 Bugatti Type 57 Ventoux. Profiles of the 1925 Bugatti Type 35C and 1934 Bugatti Type 51 race cars are also worth a read. The real strength of the book, though, is its photographs, which show everything from how a tea table designed by Carlo directly influenced the shape of the Type 64 chassis to archival photos of the Bugattis at their family estate, Chateau St. Jean. My favorite is a handsome black-and-white study of Ettore on his beloved horse, Broulliard. One thing is clear: the Bugatti family unabashedly pursued beauty itself as the means to an end (fast and opulent motorcars for France’s elite). It’s tough not to wish more automakers had the same freedom of expression today.